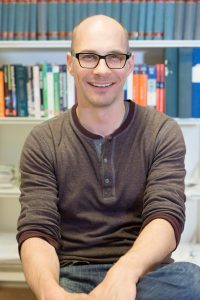 Jens Ahrens has been an Associate Professor and head of the Audio Technology Group within the Division of Applied Acoustics at Chalmers since 2016. He has also been a Visiting Professor at the Applied Psychoacoustics Lab at University of Huddersfield, UK, since 2018. Jens received his Diploma (equivalent to a M.Sc.) in Electrical Engineering/Sound Engineering jointly from Graz University of Technology and the University of Music and Dramatic Arts, Graz, Austria, in 2005. He completed his Doctoral Degree (Dr.-Ing.) at the Technische Universität Berlin, Germany, in 2010. From 2006 to 2011, he was a member of the Audio Technology Group at Deutsche Telekom Laboratories / TU Berlin where he worked on the topic of sound field synthesis. From 2011 to 2013, Jens was a Postdoctoral Researcher at Microsoft Research in Redmond, Washington, USA. Thereafter, he re-joined the Quality and Usability Lab at the Technische Universität Berlin. In the fall and winter terms of 2015/16, he was a Visiting Scholar at the Center for Computer Research in Music and Acoustics (CCRMA) at Stanford University, California, USA. See also the pages of the Audio Technology Group. Jens Ahrens’s profile on Google Scholar is here.